On Saturdays we usually go down to the Union Square - Farmers' Market to do our weekly shopping for bread, cheese, fruit, vegetables, etc. The trick is you have to go down there early enough to avoid the sightseers specially when the weather is warm and sunny. It can get very frustrating to walk down the narrow passage while people are taking pictures or simply talking to friends in the middle of the road. If we can't make it there before ten then we go uptown to the Grand Central Market. You still have over dozen or so companies that offer products that you need for your weekly food shopping. 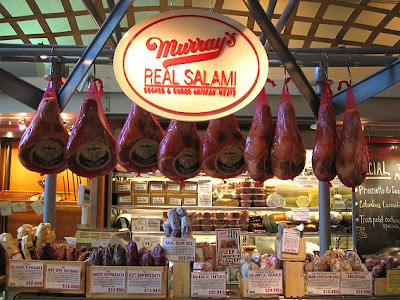 Our favorite vendors are the Murray's Cheese and the new Murray's Real Salami, Oren's Daily Roast Coffee, Wild Edibles Seafood, Penzey's Spices and the Corrado Bread and Pastry. There are other companies as well but these are the places we shop the most. We start from the Lexington avenue entrance and make our way to the end of the market. Few loafs of bread from the Corrado then over to the Murray's to get some sausages and cured meats such as prosciutto, bresaola, ham, salami, etc. 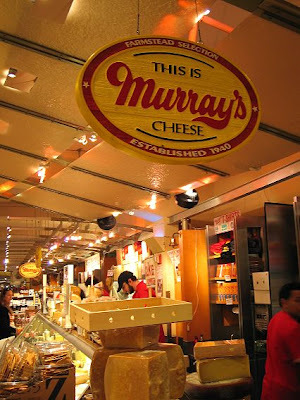 Then go over to the Murray's cheese for a selection of cheese to go with wine, for cooking, for breakfast, etc. 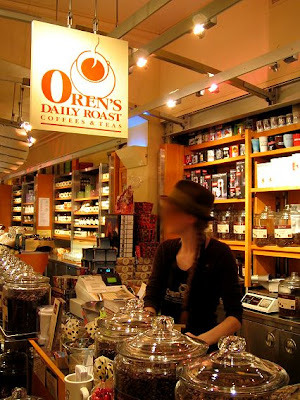 Oren's Daily Roast has a large selection of coffee beans from Ethiopia to Hawaiian Kona, from Jamaican Blue Mountain to Sumata and more...We get our coffee as beans so that the oil from the beans doesn't dry our and the aroma stays within the bean. After our coffee we visit the Penzey's Spices to get our seasonings and various spices to match the seafood, grains or meat products. They have an impressive selection of spices, of course not a large selection you would find at the Kalustyan's but still more than any supermarket or gourmet food shop. Finally we either get some seafood from Wild Edibles or meat from Ceriello to finish up our weekly shopping. 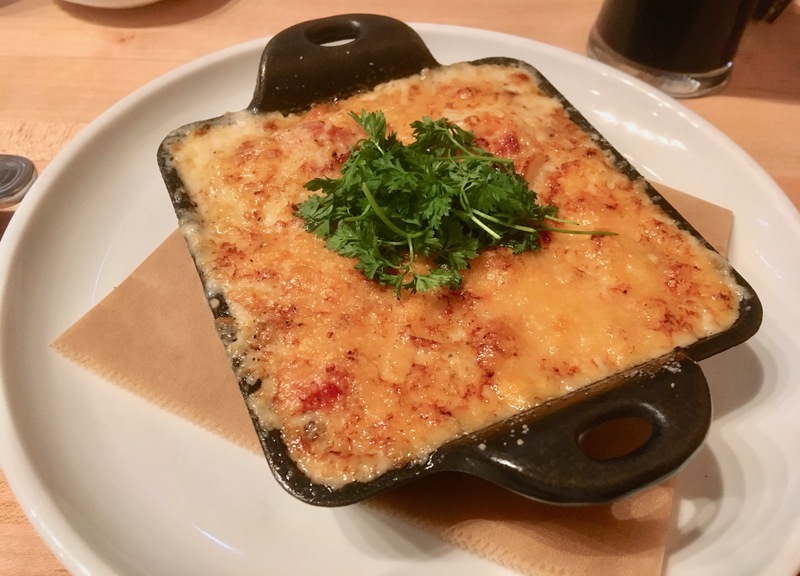 The prices can be higher than some other places in Manhattan but you have to remember that you are also paying for convenience to find all these gourmet food stores in one place so you don't have to go from place to place with shopping bags. 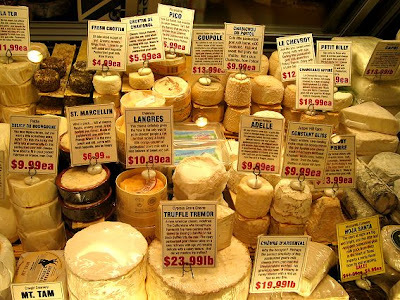 No matter what type of food we bought from the Grand Central Market, it is always fresh and high in quality. 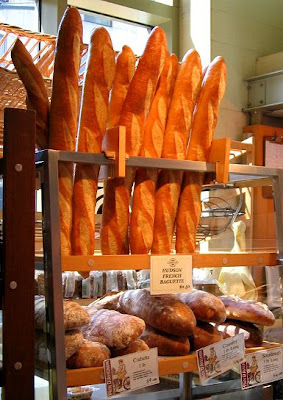 Cuisine: Various Shops; Cheese, Seafood, Bread, Coffee, Spices, Fruit, Vegatables, Flowers, etc. Address: Grand Central Station - Enter near Lexington and 42nd Street.